Following today’s the Hungarian Broadcaster’s press conference which revealed the acts and songs of A Dal 2019, Hungary’s national selection format, the exact dates of the show are confirmed too. According to MTVA, Dal 2019’s live broadcasts can be watched by the audience on Duna Televízió from January 19 , Saturday night, for six weeks. 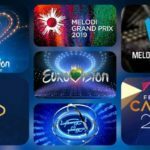 Which of the best songs in Hungary will be revealed in the 23rd final. The two semi-finals will take place in February 9 and 16. There will be nine participants in each semi-final, in which four will qualify for the Grand Final. Finally, the Grand Final will take place on February 23, where eight contenders will fight for the right to represent Hungary in the Eurovision Song Contest in Tel Aviv in May. The eighth-time show is not only looking for and choosing the best song of Hungary with the jury and the audience, but also valuable professional awards can be won. 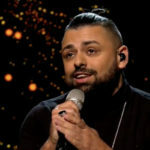 In addition to the “Dal 2019 Best Song Lyrics” and “Dal Dal 2019 Discoveries” , next year will be Acoustic Dalverseny and “Dal 2019 winner” will represent Hungary in Tel Aviv at the 64th Eurovision Song Contest next May. The Hungarians made an attempt to participate in the Eurovision Song Contest in 1993. They participated in the special prelimary semi-final in Ljubiana with Andrea Szulak‘s Arva reggel. The country failed to win one of the three spots that led to Millstreet in Ireland. In 1994 the country finally debuted in the contest with Friderika Bayer and her song Kinek mondjam el vetkeimet achieving a 4th place in Dublin, which is the Hungary’s best placing up to date. In 1999 the country withdrew from the contest and came back after a six years break, in 2005. In its 16 participations has achieved 6 top 10 placings, specifically: 4th in 1994, 5th in 2014, 8th in 2017 and 9th in 2007 and 10th in 2013. In 2018 the winners of its traditional national selection A Dal, Rock band AWS represented the country in Lisbon with their entry Viszlat Nyar. The band achieved a 21st placing in the Grand Final.